HAYWARD, Calif. -- Hayward police now say the victim in a Fremont officer-involved shooting Tuesday at City View Apartments in Hayward is a 16-year-old girl from Antioch. She died at a nearby hospital. 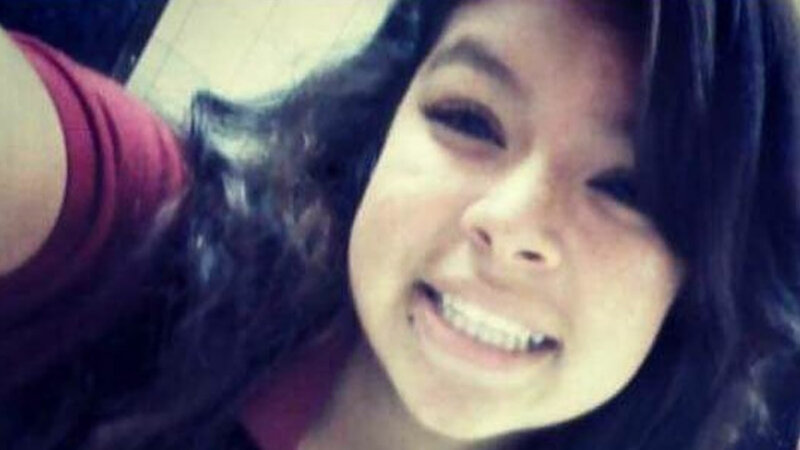 The victim's family has come forward and identified her as Elena Mondragon. Hayward Police now say the victim in a Fremont Officer Involved Shooting Tuesday at City View Apartments in Hayward is a 16-year-old girl from Antioch. She died at a nearby hospital. "It's tragic when an officer has to fire their weapon," said Hayward Police Department spokesperson Sergeant Ryan Cantrell. On Tuesday around 5:20 p.m., members of a task force, including Fremont police detectives, attempted to stop a stolen vehicle at the apartment complex. "As they get out to contact the vehicle, the driver of the car drives off and rams a couple of police vehicles," said Cantrell. Other vehicles were also hit. "It sounded like a big bomb went off when it hit and then you just heard the tires screeching and then all of a sudden you heard the gun shots, pow, pow, pow, pow," said a witness named Warren, who did not want to give his last name. The Hayward Police Department is the lead investigative agency and says two Fremont police detectives fired their weapons. The driver of the stolen vehicle drove out of the apartment complex and crashed at Campus Drive and Oaks Drive. Students at nearby University Village Student Housing off-campus were told to shelter in place. "It was scary because it caught us off guard," said Warren. Hayward police says there were four people in the car, two males and two females. One male suspect got out and ran. Law enforcement officials searched for him until 1:30 a.m.
"We have some leads on who it may be," said Cantrell. "The way he took off and damaged those cars he could care less," said Warren. The other female and male were taken into custody. The female has since been released. The Fremont police detectives who were injured in the initial crash have been treated and released from a local hospital. The Alameda County District Attorney's Office is conducting a parallel investigation. Mondragon family has set up a GoFundMe account to help pay for funeral expenses.